Jane Richardson, a Riley Riper Hollin & Colagreco shareholder, is a litigator with the firm’s Exton office. Her diverse civil litigation practice encompasses real estate, commercial and construction matters for national and local developers, companies of all sizes, and individuals. Jane’s broad experience includes helping clients negotiate agreements and resolve disputes, but when resolution outside the courtroom is not possible, she is a strong advocate in trial and appellate proceedings at the federal and state level. She works closely with clients to develop litigation strategies that match their unique goals and objectives. Her thorough yet efficient approach – from the initial investigation to presentation of claims – wins high praise from those she represents and provides her with an ever-expanding range of litigation challenges in new areas and industry sectors. Well-established in southeastern Pennsylvania’s legal community, Jane handles all aspects of commercial litigation, landlord/tenant disputes and real estate assessment controversies. She works with property management and owners in bringing disputed issues to resolution through agreement or through litigation in the appropriate jurisdiction. Her clients include property owners seeking relief from excessive property valuations, those who wish to obtain real estate tax exemptions and those applying for preferential assessment. Jane’s preparation and presentation in matters before the Boards of Assessment Appeals for Chester, Montgomery, Delaware, Bucks, Berks, Lancaster, York, Dauphin and Snyder Counties have delivered value and cost-savings to a broad cross-section of commercial, office, industrial, retail and residential property owners. In 2005, Philadelphia Magazine named Jane as one of the “top young attorneys” in the state. 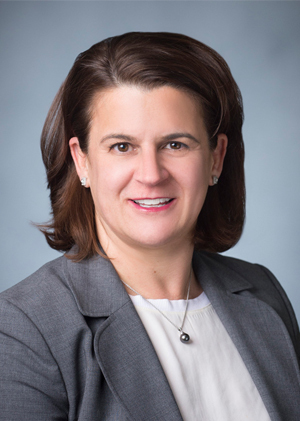 Prior to joining Riley Riper 15 years ago, she practiced law in Connecticut for a plaintiff’s personal injury and medical malpractice defense firm. Jane holds a Juris Doctor from California Western School of Law and a Bachelor of Arts from the University of California, San Diego.